The Dolphin Institute, Dehra Dun is a vastly reputed institution for providing quality education to the young students and to develop them as professionals in bio-medical and natural sciences. Our strength is in over 100 highly qualified, dedicated and experienced faculty as per UGC norms, from reputed Indian universities and many renowned medical and paramedical colleges. Dolphin PG Institute of Biomedical Natural Science, Dehradun offers various graduate courses as well as Post Graduate courses. Dolphin PG Institute of Biomedical Natural Science, Dehradun is affiliated to Hemwati Nandan Bahuguna Garhwal University, Garhwal. 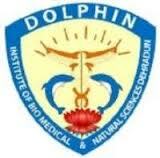 List of facilities available at Dolphin PG Institute of Biomedical Natural Science, Dehradun for students.